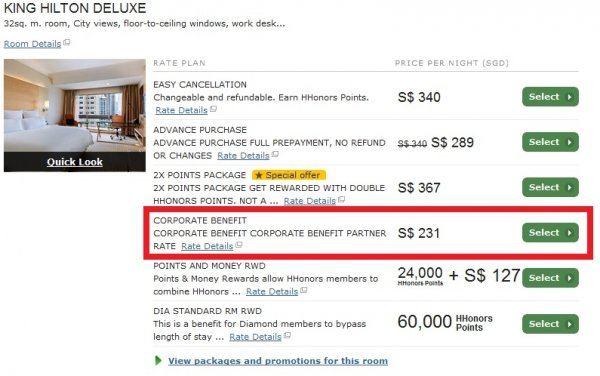 Hilton has a great discount code “PR13CB”, it offer discounts Best Flexible Rate by 32% to 43% at participating properties outside of North America. It works best in Europe, Middle East & Asia. The discount is 32% from the BAR. This is a great discount offer that I have used multiple times. It works best when the Best Available Rates are low as this further discounts them. I have never been asked to show any eligibility as this appears to be open for all employed by a business.